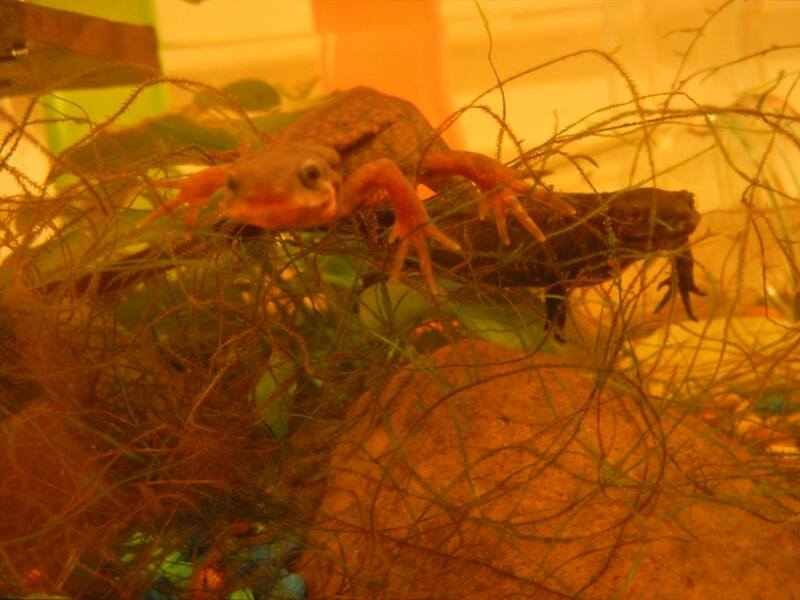 Meet the Japanese firebelly newts, Little Newt and Lady Newt, who live in a tank at Elisa’s and Greg’s house. Little Newt is in the foreground, and you can tell he is a male newt from his large hands and feet. Behind him is Lady Newt, who has been known to be living among humans since the late 1970s, when she was given as a gift to an old friend of ours. 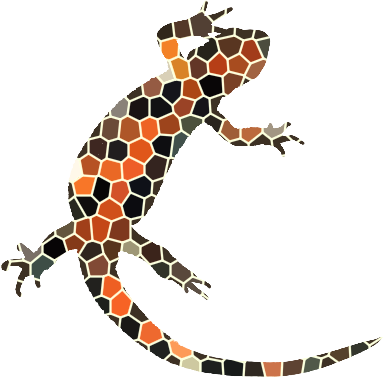 The newts have been living with us since 2002, when our friends moved from Pennsylvania to Hawaii. We credit them as a spark of inspiration for this website. Maintained by: Elisa E. Beshero-Bondar (ebb8 at pitt.edu) Last modified: Friday, 19-Apr-2019 03:26:03 UTC. Powered by firebellies.